The White House isn't saying much about a State Fair event in which a rodeo clown riled up the crowd as a bull chased a masked man imitating President Barack Obama. White House spokesman Josh Earnest says he had no reaction from Obama. But he says that personally, as a native of Missouri, "It was certainly not one of the finer moments in our state." Missouri's elected officials have denounced Saturday's rodeo clown act as disrespectful. Scott Holste, spokesman for Missouri's Democratic Gov. Jay Nixon, said Sunday in an email that Nixon "agrees that the performance was disrespectful and offensive, and does not reflect the values of Missourians or the State Fair." The state's second highest-ranking official, Republican Lt. Gov. Peter Kinder, denounced the performance in a tweet Sunday, saying it was "disrespectful" to the president. Missouri Sen. Claire McCaskill, a Democrat, said in a statement on her website, "If what's being reported is true, then it's shameful and it's unacceptable." The event featured a man wearing an Obama mask with an upside down broomstick attached to his backside who was positioned on the arena's dirt floor as if he were a dummy. 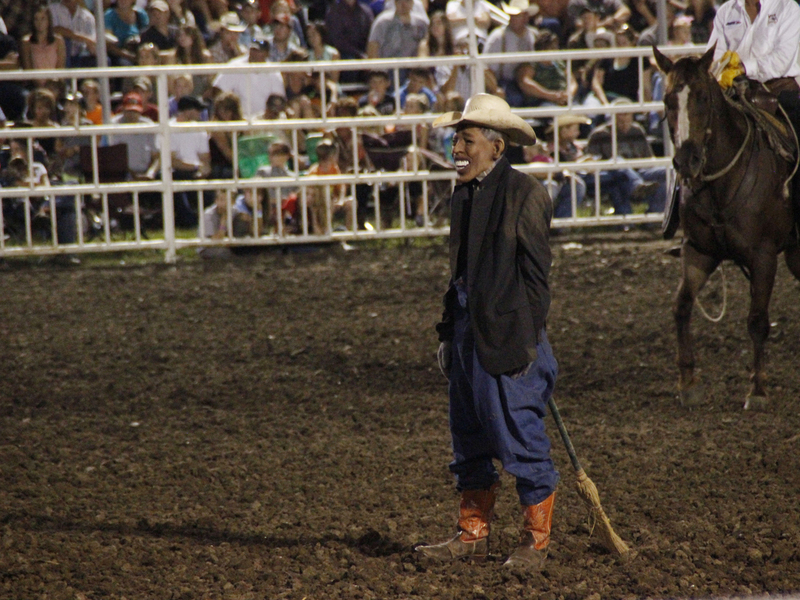 Another clown drew cheers from the audience as he asked if they wanted to see "Obama run down by a bull." The fair banned the clown from any future events, saying in a written statement that he had engaged in an "unconscionable stunt" that was "inappropriate and not in keeping with the Fair's standards." The fair's press release did not identify the clown. Most of the Missouri State Fair's roughly $4.5 million budget comes from fees charged to attendees and vendors, but it receives about $558,000 from tax revenues, according to the state budget office. Missouri House Democrats have suggested the Republican-led chamber should form a special committee to investigate the incident and determine whether to continue providing tax dollars to the fair. But it seems the clowns won't be out of work for long. Texas Republican Rep. Steve Stockman in a press release Wednesday said he's invited them to perform at a rodeo in his state's 36th district, dismissing the controversy as a "harmless gag." "The liberal reaction is straight out of Alinsky. They want to crush dissent by isolating and polarizing anyone who questions Obama, even if it's a rodeo clown with a harmless gag," Stockman said. "Disagreeing with speech is one thing. Banning it and ordering citizens into reeducation classes for mocking a liberal leader is another. "Liberals have targeted this man for personal destruction to create a climate of fear."